Today, in a 5–4 decision, the Supreme Court of the United States overturned the 50-year-old rule requiring businesses to have a physical presence to be required to collect sales tax. You may think that because physical presence has been overturned states like California, Washington and other states have won. However, for the following reasons they have not. 1. This doesn’t change much for FBA sellers: FBA sellers that have been under attack whether via amnesty, or directly by California or Washington were always deemed to have a physical presence due to their FBA warehouse presence. Therefore, physical presence was never an FBA seller’s issue. For those non-FBA Amazon sellers this may now mean that you will be put in the same boat as FBA sellers have been for some time, but just as is the case with FBA sellers, there are still plenty of issues that need to be addressed before states can put massive tax burdens on you. 2. The Court’s decision was narrow: The Court hated the physical presence rule, and they wanted to see it gone for some time, so they overturned it. The Court was offended by the fact that large companies like Wayfair from enjoying the benefits of being able to sell products tax free. However, just because you have physical presence doesn’t mean that a state can tax you. The actual holding in a nutshell is that physical presence is no longer a barrier to tax. There still may be other barriers, such as burdens and due process. 3. It still doesn’t address marketplaces, state law and who is the retailer:The question of who a retailer is and whether you or Amazon should be collecting under state law remains open. This is a matter of state law, and not something that the Court would address. This ruling has little to do with who is responsible for the tax on marketplace sales. It’s still an open question. 4. The Court punted on the burden question: The question for online merchants is about burden. What burden can states place on you when it comes to state tax compliance. However, the Court did acknowledge that cause for such a challenge exists. Therefore, we [Sellers] now must bring our own case if we want to have our day in court. It would have been nice for the Court to have addressed this part of the issue, but it chose not to. 5. We are not worse off, we are better off: The Court removed the Physical presence standard as a barrier to tax. It doesn’t mean that states now can just tax you/impose tax burdens carte blanche. In fact, I would argue that this ruling works both ways. Those of you deemed to have physical presence, aren’t necessarily going to be subject to tax based on that alone. Other considerations must be considered, such as whether it’s appropriate to impose a fifty-state tax burden on small sellers. Paul S Rafelson has been litigating state tax cases for over 13 years. He’s been an in-house state tax litigator for Microsoft, Walmart, and GE. He has seen what the full burdens of multi-state tax look like at these large companies who have been doing multi-state tax for years. He’s a small business advocate who understands the serious threat these burdens create for anyone trying to grow an online business in America. And he’s a tough fighter who has faced state tax administrators and the Multistate Tax Commission (the amnesty organization) asserting bogus tax law interpretations in almost every state. In addition, Paul teaches a state tax constitutional law course at Pace University School of Law in New York. Paul has a law degree and an MBA from Villanova University and a Masters of Law (LL.M.) in Taxation from New York University. Paul was also a retail arbitrage seller when he was in law school, long before FBA. Paul has been regularly featured in major media publications about eCommerce. Over the last year, Paul has also been leading the charge in the sales tax legal battle on behalf of online merchants, fighting to protect the constitutional rights of the merchant community, and insuring they didn’t fall victim to states like California, that are pursuing sellers for eight years of back taxes. As a part of his efforts, Paul helped form an online trade association called Online Merchants Guild (onlinemerchantsguild.org), where he volunteers his time as the organization’s executive director. 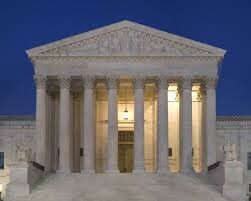 As executive director of OMG Paul wrote and submitted an amicus brief to the Supreme Court, bringing the online merchant perspective to the case, and through the organization is actively preparing to take further legal action that will help protect the constitutional rights of all merchants worldwide. Amazon’s Notice That They Are Turning Over Your Company Data: Now What? By signing up, we will send you useful information on legal topics and best practices for running your eCommerce business. This blog does not provide legal advice and does not create an attorney-client relationship. You may not rely on any information in this article as legal advice. If you need legal advice, please contact an attorney directly. Reach out to an eCommerce lawyer with actual expertise in the law. Use the contact form below, and we will contact you right away.